Being labeled as a criminal carries a lot of stigma in society. When presented with arrest or conviction information, some people rush to judgment without looking at the nature of the offense or how long ago it was committed. In Virginia, misdemeanors normally stay on your criminal record and are made permanently available to the general public unless the record is sealed, or "expunged." Misdemeanors are criminal offenses punishable by up to one year in jail in Virginia. These crimes are generally considered less severe than felonies, which can result in significantly more incarceration time -- up to a life term in prison. For a misdemeanor conviction, you must be arrested, charged, and then either plead guilty or "no contest," or prosecuted and found guilty after a trial. A criminal record is created the moment you are arrested in Virginia. This record is visible to the public -- and includes information about the nature of your offense. If you are ultimately convicted of a crime, this will also be included in your record -- and you will be required to report it if a job or school application asks about previous convictions. Having a criminal record can seriously affect your ability to gain employment or be accepted to college. Although misdemeanors are generally considered less severe than felonies, Virginia does not make any distinction between these convictions when it comes to expungement. Expungement is the process of sealing records of arrests or criminal convictions, resulting in the information being made inaccessible to the public. While some states allow individuals with a misdemeanor to request expungement after successful completion of their sentences and in some cases, a waiting period, Virginia law is much more stringent. Specifically, you are only eligible for expungement if you were either pardoned by the governor, or you were only charged with a crime but never convicted. If your misdemeanor was pardoned, or you qualify to have your arrest record expunged, you may file a written request with the court called a "motion." 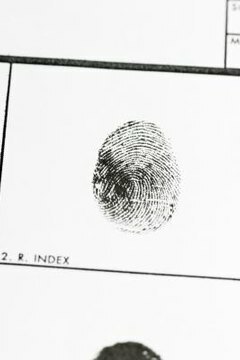 You are required to provide the court with a new set of fingerprints, and must give a copy of your request to the prosecutor's office. Once a judge seals your record, the misdemeanor or arrest information will not show up on criminal background checks -- and you can legally state that you were never convicted of a crime if asked. Thomas, Wayne. "Do Misdemeanors in Virginia Stay on My Permanent Criminal Record?" , https://legalbeagle.com/12333456-misdemeanors-virginia-stay-permanent-criminal-record.html. Accessed 18 April 2019.